Maybe you've been paying attention. If so, good. Thank you. We're not going to preview the game again, but we did want to make sure that everyone is paying attention. 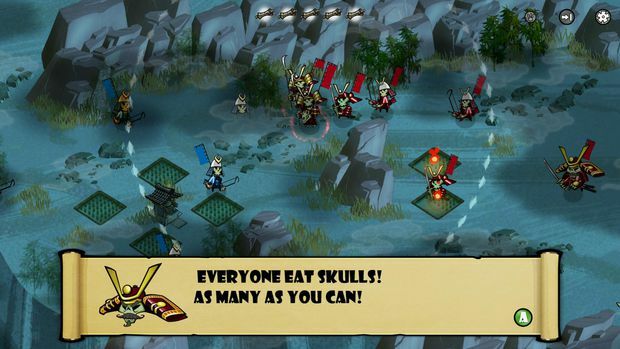 Skulls of the Shogun is too great of a game to miss. Haunted Temple Studios' founder Jake Kazdal told us that he adores the classic tactical strategy games that came out of Japan, but that he knew he wanted to freshen up the genre a bit. I was quickly on his side as he won me over with some serious gaming cred, on both the professional and playing sides. Any guy that loved Shining Force and helped make Space Channel 5 and Rez is good in my book. His idea for a new strategy game? Fast, arcade-y action, with no fuss. 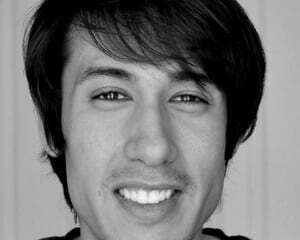 Pull influence from all the great arcade games and work them into strategy. Screw the grids. Throw out the technical crap. Cut back on the unit types. Throw in some cartoon-sh samurai skeletons, some cool innovations on map power-ups, and some broad tweaks to old SRPG mechanics and you've got a game that's really easy to pick up, but hard to stop playing. 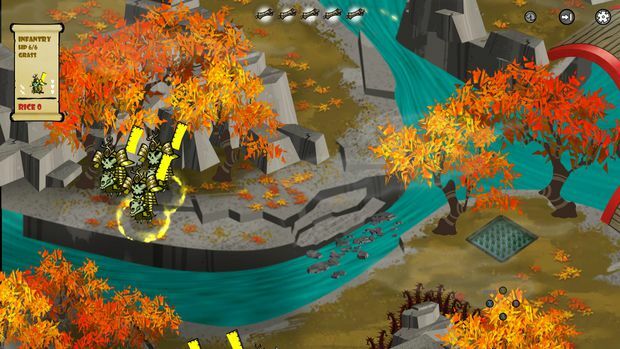 Many of the changes to Shogun to make it more accessible and fast are brilliant. The biggest change from the old formula is that you won't need to step, count, step like in most older strategy/tactical games. Instead, Shogun uses a different sized circles to set your move range. You can move freely within them on your turn. Also, there's only calvary, infantry, monk and archery movement types, so games have just enough strategy, but not so much that it becomes bothersome or overly technical. The Haunt mechanic is also pretty cool. 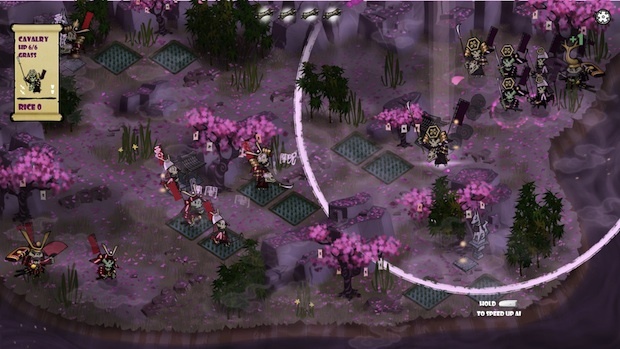 You can position a unit over rice paddies or shrines to earn currency or spawn more units. But my favorite bit is that you can munch on the skulls of fallen (or re-fallen, as all of them are already dead!) enemies to gain some of their powers. This really keeps you on your toes! I played a round with Wesley and we both enjoyed it so much that I didn't want to leave for my next appointment. I ignored calls from my boss. I blew off some urgent texts. Really! It really only takes about two rounds of play before you really get into it, and then you're really into it. After that it was maniacal laughter from power plays, or exclamations of surprise from how quickly the lead changed between us. Cussing, mumbles, winces -- I wanted to slam my elbow into his chest when he surrounded my general all of the sudden. This game is fun, people. Strategy/tactical game fans won't need to think twice. It's not necessarily dumbed down in any way from your beloved Advanced Wars or Shining Force games, Mr. Smartypants SRPGer -- it's just different. Faster. Slicker. Fresher. And to those that really never took to turn-based strategy titles? You have to at least try this. I've had several others from your camp tell me that this game won them over. Someone finally made the perfect strategy game for you! Kazdal told me that he was thinking of you when he made this. The whole point of this article is to make sure that no one misses Skulls of the Shogun. It's too good to miss. It should be coming to Xbox Live Arcade some time this year, and you should be downloading it when it does.